We ask that you pre-register for the dinner meeting at your earliest convenience online at www.torontoashrae.com, select “Meeting Registration” from the left tab and then “Register” button for the ASHRAE Toronto - April 2012 Dinner Meeting. You may also still register through the ASHRAE chapter office (Sabrina Tai - 905 602 4714 or stai@hrai.ca). Please indicate at time of registration if you have any specific meal requirements. There will always be a vegetarian option, simply notify us at time of registration. No walk-in registrations will be permitted for this event. Hoy Bohanon, PE, LEED AP is director of the Carolinas region of WorkingBuildings. WorkingBuildings is a professional services firm whose primary service offering is commissioning for high performance buildings. Mr. Bohanon began his engineering career as a research and design engineer, and then gained experience as a project engineer, facilities engineer, facilities manager, indoor air quality research engineer, environmental engineer, and business owner. He has a master’s degree in engineering from North Carolina State University, and a bachelor’s degree in mechanical engineering from Georgia Institute of Technology. Mr. Bohanon has written technical papers and articles on indoor air quality, operations, and maintenance and is a frequent presenter at technical society meetings. He was recently appointed to the ASHRAE Standards Committee and is a recipient of the ASHRAE Distinguished Service Award. He is a member of ASHRAE Standard 62.1 committee, Ventilation for Acceptable Indoor Air Quality, serves as program chair for SSPC62.1 and TC5.5 Air-to-Air Energy Recovery. 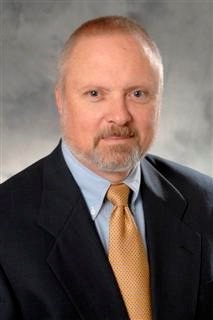 He is chair of the US Technical Advisory Group panel 1 (general principles) and panel 4 (indoor air quality) for ISO TC205 Building Environment Design. He served on the project committee that wrote The Indoor Air Quality Guide: Best Practices for Design, Construction and Commissioning for EPA/ASHRAE/AIA/BOMA/SMACNA/USGBC. Mr. Bohanon also teaches Complying with Requirements of ASHRAE Standard 62.1-2007 for the ASHRAE Learning Institute. He actively serves on committees of the Professional Engineers of North Carolina, the Winston-Salem Chamber of Commerce, US Green Building Council, and the Triad Early Action Compact. The technical theme for the evening will be Radiant Heating and Cooling Systems for commercial applications. ASHRAE 62.1 is fundamentally changed from the version of 62 that was the basis for many building codes. As the new version works its way into the codes, there are also many associated requirements in addition to the ventilation rates. 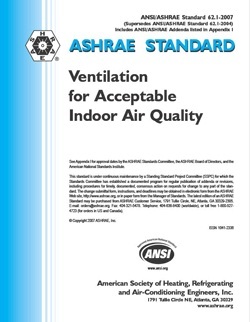 ASHRAE Standard 62.1 is under continuous maintenance. That means that every 18 months, there are changes published to the standard. This presentation provides an overview of the standard with emphasis on the most recent changes. The ASHRAE Hamilton Chapter was chartered Oct 22nd, 1959 as the 88th chapter in the newly formed Engineering Society called ASHRAE. D. L. Angus, Region 2 Director and Regional Chair from Toronto assisted in the chartering ceremony. On January 29th, 1959, ASHRAE officially started operations after a merger of two engineering societies - ASHAE – the American Society of Heating and Air Conditioning Engineers which was founded in 1894 and ASRE – the American Society of Refrigerating Engineers founded in 1904. It was in the spring of 1959 that Toronto Member Lloyd Algie contacted a number of Hamilton ASHRAE members to see if there was enough interest in forming a stand alone chapter. ASHRAE had a requirement that they would consider a documented petition from a minimum of 20 Society members from an area to incorporate a stand alone chapter. Lloyd was surprised at the local interest and in the April to May period quickly had 20 members willing to sign a petition. In June, the petition was presented to ASHRAE’s BOD who approved the chartering. The chapter was to be called the ASHRAE Niagara Peninsula Chapter, a name that lasted from 1959 to 1971. It was then changed to the Hamilton Chapter to better represent where meetings were held. The first Chapter President was Lloyd Algie. Today, the chapter has approximately 250 assigned Society members and 60 to 100 local Chapter members. Meetings now move around to other communities such as Guelph and Cambridge as many of members reside well outside of the Hamilton area. Every year, the Hamilton and Toronto Chapters join forces to host an ASHRAE Distinguished Lecturer dinner meeting. We look forward to strengthening our partnership by hosting more joint meetings in years to come.